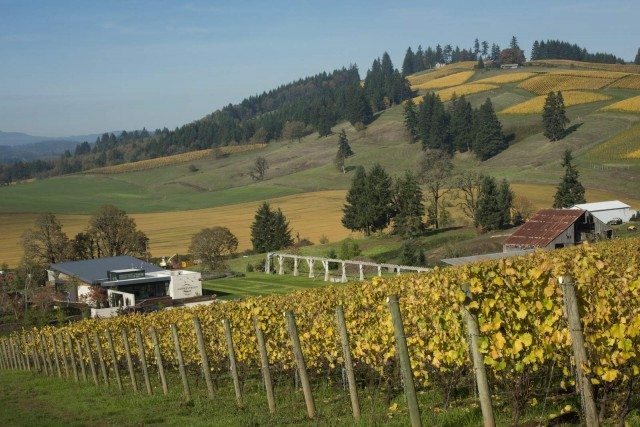 The Oregon-based winery, Saffron Fields has its sights set on wooing HK wine drinkers as it launches onto the market via Corney & Barrow. Speaking to the drinks business HK at the official launch of Saffron Fields’ Yamhill-Carlton Pinot Noir, owner Sanjeev Lahoti expressed his desire to see Hong Kong’s wine drinkers “embracing” New World Pinot Noir. Former chemical engineers, Lahoti and his wife, Angela Summers wanted to get into the vineyard business after many wine holidays spent in Napa Valley and started hunting in Oregon for potential sites. They came across the Saffron Fields plot in the Willamette Valley during Thanksgiving in 2003 when it was unpromisingly growing grass seeds rather than grapes. “But I loved the area, it was the first property we saw, and I could definitely see the potential for growing wine. So four months later in 2004 we bought it,” said Lahoti. Keen to embrace a new life away from chemical engineering, Lahoti completed a winemaking degree from the University of California in 2006 and in 2007 and planted the first 10 acres of the Pinot Noir vineyard with the Pommard clone, followed by four acres each of Dijon 777, 115 and Wädenswil clones in 2009 – the same year as their first harvest. The name Saffron Fields is in homage to Lahoti’s childhood spent in India and because in autumn, the leaves take on a warm yellow hue. The grapes were initially purchased by Tony Rynders, head winemaker at nearby Domaine Serene and the intent for Lahoti was simply to be winegrowers for a few years, but after barrel tasting the first wine from their property, Lahoti and Summers asked Rynders to make them 50 cases in 2010.